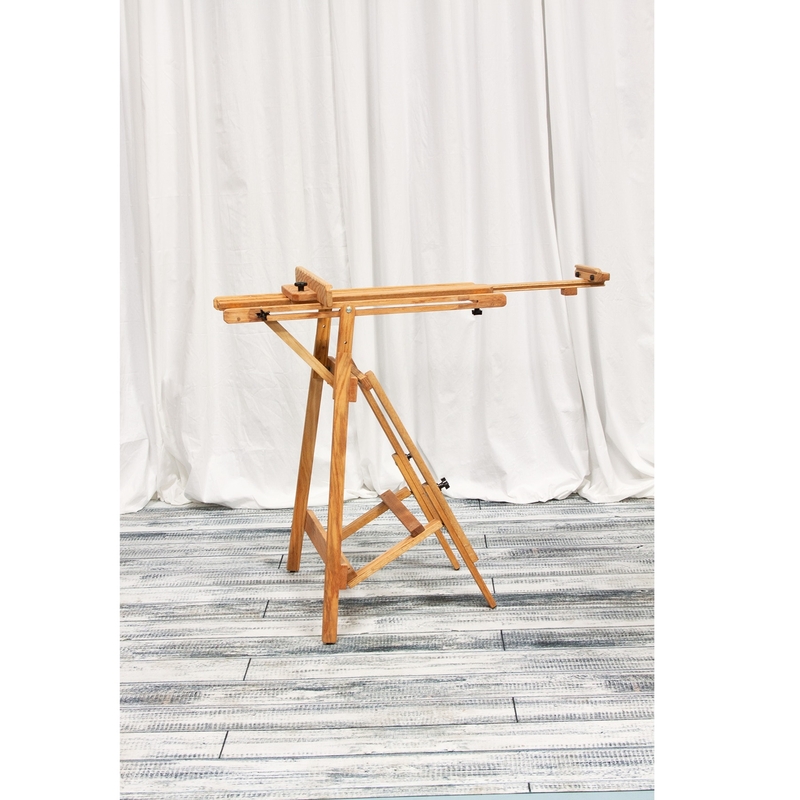 Best Manzano Solid Oak Easel - The Manzano features a unique frame design which slides down & locks for seated work; tilts horizontally for watercolor or varnishing; or raises vertically & locks into a higher position for standing work. Made of beautiful solid Oak. It can accomodate a canvas up to 50 inches high. Ideal for watercolor, oil & acrylic painting. Each BEST Easel is made of American oak, sanded to a smooth surface, then hand-rubbed with oil to reveal the inherent beauty of the wood grain. The craftsmen at BEST nail, glue, and wood screw every joint, guaranteeing strength and precision. Only the highest quality hardware is used as these easels are constructed to last a lifetime. 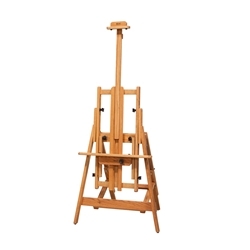 This easel can be shipped by UPS for $39.95 anywhere in the 48 contiguous states. Assembly required.